Yes…You can own property in Mexico! You also have the option to purchase a U.S. Title Insurance policy with a growing number of companies including, Stewart, Fidelity and First American. It’s all familiar to a property buyer and it all makes sense as we only use U.S. Escrow accounts for all earnest money deposits that the buyer ultimately controls. 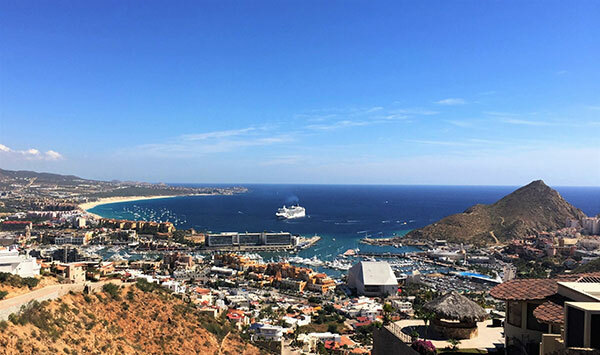 There are over 1 million foreigners who have purchased property in Mexico and the # is on the rise as the baby boomers and investors from all walks of the world are enjoying the opportunities in Mexico’s advantageous real estate market. U.S. corporations such as Costco, WalMart, City Club, Sam’s Club, Home Depot, Office Max, Office Depot and etc. wouldn’t be purchasing their land to build their stores here locally as well as in other parts of Mexico if ownership wasn’t a true reality. Lending for U.S and Canadian’s in Mexico first came to life approximately in 2002. As we all know, no bank in their right mind would ever loan money if there was a risk of the buyer having any chance of losing their property as the buyer would simple walk away from any obligation of their loan. WHAT ABOUT 99 YEAR LEASES? The 99 year lease is a myth, it never existed. There are some areas in Mexico that are classified as “Ejido” or land that can only be leased including bare land and land with structures or improvements. We steer clear of Ejido land and recommend that you don’t have any involvement with them as there’s no title to be transferred. (The easiest way to understand “Ejido” property is to compare it to Indian reservation land). These types of properties are very not fully owned and we don’t recommend that anyone take the risk in trying to acquire them. All property listed for sale on the “MLS” system and every property with our representation must have a clean title and be free of any encumbrances so you’re fully protected. The closing process normally takes 30-45 days but can take longer if there’s any contingencies or an additional waiting period for a loan to be funded. The buyer is 100% protected as the money never leaves their U.S. Escrow account unless there are 0 liens and all the paperwork is in perfect order from start to finish for the transfer. Just like the back home! WHAT THE HECK IS A FIDEICOMISO, ANYWAY? Over 1,000,000 foreigners own property in the restricted areas of Mexico and since the change in the Foreign Investment Law May 16, 1989 and amended December 27, 1993. Foreigners can now own residential land in the restricted zones through a Fideicomiso (Trust). (Think of this trust to be similar to a inheritance trust or a living family trust in the US.) The restricted zone is defined as land within 30 miles of the beach and 60 miles of the border. Foreigners acquire irrevocable and absolute ownership rights to residential property in Mexico through a 50-year perpetually renewable and transferable Bank Trust called a Fideicomiso. This Trust is a legal substitute for deeded (commonly referred to in the U.S. as fee simple) ownership and is provided specifically for non-nationals to own residential property in the restricted zones (border and beach areas.) established in the actual Mexican Constitution. The Trust system of ownership is sanctioned by the Mexican government, provided for under the Mexican Constitution, and secured by the Central Bank of Mexico; thereby offering powerful protection. Title is delivered to a Mexican Bank, authorized to act as the Trustee, designating the foreign buyer as the Beneficiary of the Trust (you). The Bank acts like an “employee” of the Beneficiary (you) in transactions involving the property. The Beneficiary (you) retains the use and control of the property and makes all the investment decisions. The rights of use and enjoyment, leasing, improving, mortgaging, selling, inheriting and willing the property is the same as when owned in fee simple title. It is your Trust and not the property of the government or the Bank. A sale becomes registered when it is witnessed and recorded through a Notorio Publico. From there, title passes to the designated Bank to be held in the Fideicomiso (Trust). There are specific Banks authorized by the Mexican government to hold the Real Estate Fideicomiso. Authorized Banks must pass extreme scrutiny. You, have the right to transfer the Fideicomiso to any authorized Bank of your choice from those authorized. The Bank reviews all paperwork of the current owner/developer to ensure that the documents are complete and legal. The Bank will not issue a developer the right to apply for and form the Fideicomiso on their lots until they are satisfied with all documents and that the subdivision process has been completed. A question that often arises is what happens in the event the holding Bank should ever fail, be bought by an unauthorized Bank, etc., what happens to the Fideicomiso? Answer – the Fideicomiso will be transferred to another authorized Bank. The Bank does not own the Fideicomiso, you do! Unless a problem occurs because of fraud or misrepresentation, or failure to pay its maintenance fees, the Fideicomiso can not compromised. Foreigners often worry about their land being expropriated by the Mexican government. Under the North American Free Trade Agreement, NAFTA, Mexico may not directly, or indirectly, expropriate property except for a public purpose. This is the same as “Eminent Domain” in the U.S. Where it is necessary to expropriate land, swift and fair market compensation must be paid, together with accrued interest. Security for foreign purchasers of Mexican real estate is something that the Mexican government and business community consider paramount to continued foreign investment. As such, Mexico’s President Enrique Peña Nieto has furthered progress of new legislation that looks to move beyond the Fideicomiso with an intent to allow foreigners to own real estate and hold title in their own name without the involvement of a bank or formation of a trust. This may occur soon but it certainly points to an easier means of property ownership regardless of citizenship. In 1997, Mexico changed its Banking system and subscribed to the International Banking Standards. Currently, there is only one Mexican owned Bank left. The rest are owned by different international Banks, including Citi Bank and Chase Manhattan. In the U.S. there are many types of Bank Trusts – living, education, family etc., so are there several types of Fideicomiso for education, for the protection of minors, and for land usage called a Land Usage Trust that allows for the use of the land only. This is commonly set up for Ejido leases between an Ejido and a developer who will in turn, lease portions of the land through a membership program to others. (Membership selling is common practice in Mexico. Be sure to check your documents thoroughly.) There is only ONE Fideicomiso to purchase property called a Real Estate Fideicomiso. A Real Estate Fideicomiso can be offered either through a Master Trust or Individual Trust. The Fideicomiso most secure is an individual Fideicomiso. WHY IS AN INDIVIDUAL FIDEICOMISO CONSIDERED THE BEST? The Beneficiary (you) maintains complete control over the trust (to buy, sell or mortgage, encumber, will or inherit) and is not tied to a Master Trust which could be compromised with a lien or default by the developer i.e. as in non-payment of taxes or to workers or suppliers. In a Master Trust the developer is responsible for payment of taxes then appropriating them for reimbursement proportionately to each Fideicomiso held under the Master Trust. In an Individual Fideicomiso, every Beneficiary (you) is responsible for payment of their own taxes. A non-payment by one property owner would not affect another property holder in the development. For this reason, most, if not all, Banks are now only issuing Individual Fideicomisos and will no longer approve Master Trusts. Be advised, though that your Fideicomiso specifically prohibits you from engaging the protection of a foreign government with respect to any Mexican land dispute, called the long-arm clause. Makes sense though. Think about a Japanese national invoking a lawsuit regarding his Hawaiian property in Japan . Doesn’t hold water with the US Government either! DO MEXICAN BUYERS/SELLERS HAVE SPECIAL DISPENSATION BY LAW? No, the Mexican Constitution guarantees nationals, as well as foreigners here legally, the same rights and obligations. Whether Mexican or American owned, each development must complete the subdivision process and the only way to sell property to non-nationals is through a Fideicomiso. Mexican developers DO NOT have any special dispensation under the law. If you do not have a Fideicomiso through an authorized Bank then you have, at best, a lease. Any other form of “ownership” such as share of a corporation, squatters (yes, you can even get hit up for this! ), owning with a Mexican national partner, or any other gimmick is not legal and is trying to circumvent the law with possible dire circumstances! Mexican nationals own property Deeded but even they cannot own in a subdivision unless the development is properly documented and subdivided. Whether one lot or a thousand lots, in the eyes of the government whenever a parcel is “sub-divided” it must go through the subdivision process. Mexican law is very specific about the Real Estate Fideicomiso. This Fideicomiso is designed specifically for non-nationals to own residential land in the restricted areas (beach, border region) and is currently the ONLY legal way to own this land. It provides the same legal rights and protection of ownership as a Mexican has under the law. It bestows upon the Beneficiary of the Trust (you) absolute and irrevocable control over the property. The Fideicomiso is set in 50-year increments guaranteed renewable in perpetuity. It can be improved, mortgaged, bought, sold, inherited & willed just like real estate in the US or Canada.